One of the things that paper vendors will do when quoting your job is that they'll give you a quote ONLY for the PRINTED pieces. Things like your cards will be included. But the non-printed items may be mysteriously missing. When you get your quote, you'll be happy with the super-low price. But some items could be missing. In particular, the non-printed items, like your envelopes and folder. From the vendor's eyes, they are giving you a PRINTING quote. Therefore, they'll only include items that are printed. But you, the customer, are expecting an entire job quote. 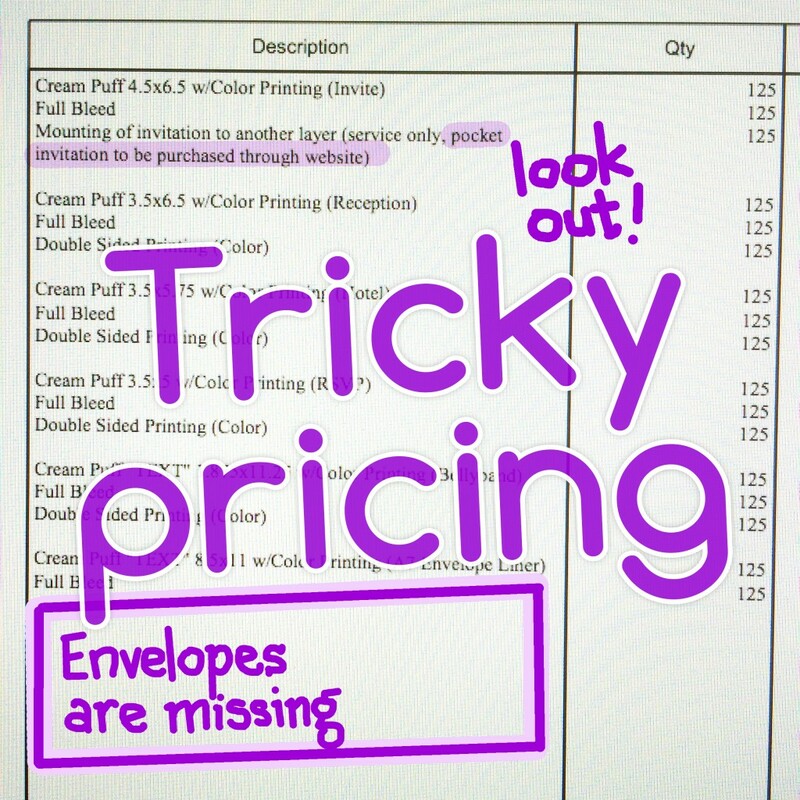 To get a true picture of the cost of your invite, make sure to check that all your items are listed on the quote. Another trick vendors will use is that they will mask how much time it takes to produce your wedding invites. More about that in our next blog post, "Estimated time to print wedding invites with cardsandpockets.com"